But seriously, they are so great and fun to be around and they aren’t hard to entertain or please. 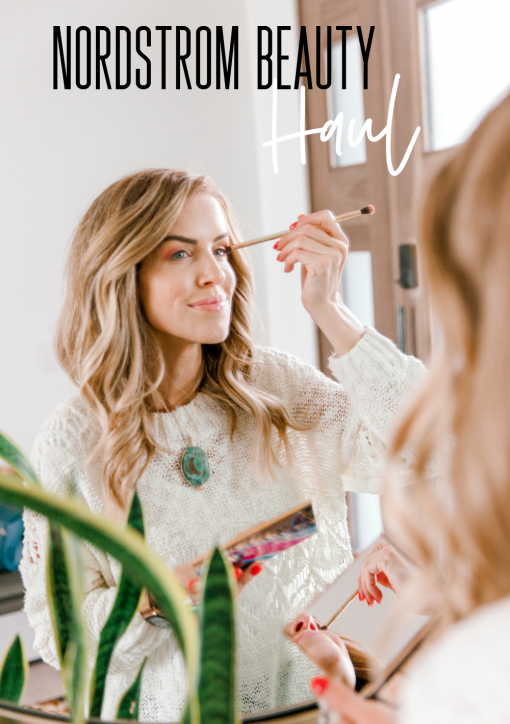 In a pinch, you can entertain them with the contents of your purse or one of the super fun toys I have below! Most of these are inspired by Jett. The kid who sleeps 12 hours and makes it easy to be a mom. Toddlers are so impressionable. They’re at an age where they are developing their imagination and gifts should really play a role. The right gift/toy will help them learn colors, develop motor skills, improve hand-eye coordination, and there doesn’t need to be a lot of them! 1-3 gifts under the tree and your toddler is going to be fine just helping others open their gifts! So check out the list below and then let me know which gifts you pick up and which ones I need to add to this list! 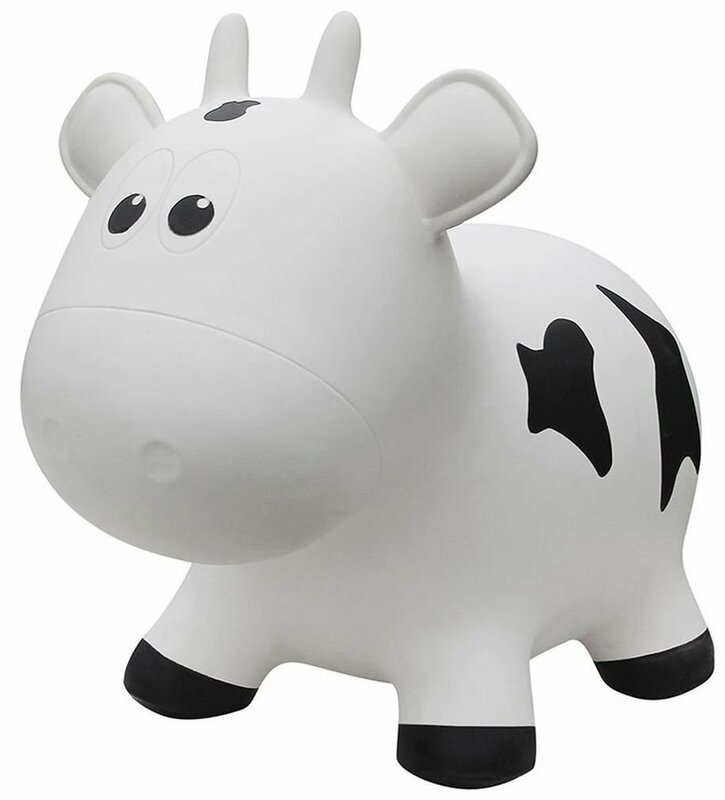 These hoppers are made from high quality, brightly colored, BPA and phthalate-free plastic for long lasting use and durability and are a great outlet for all that tot energy. 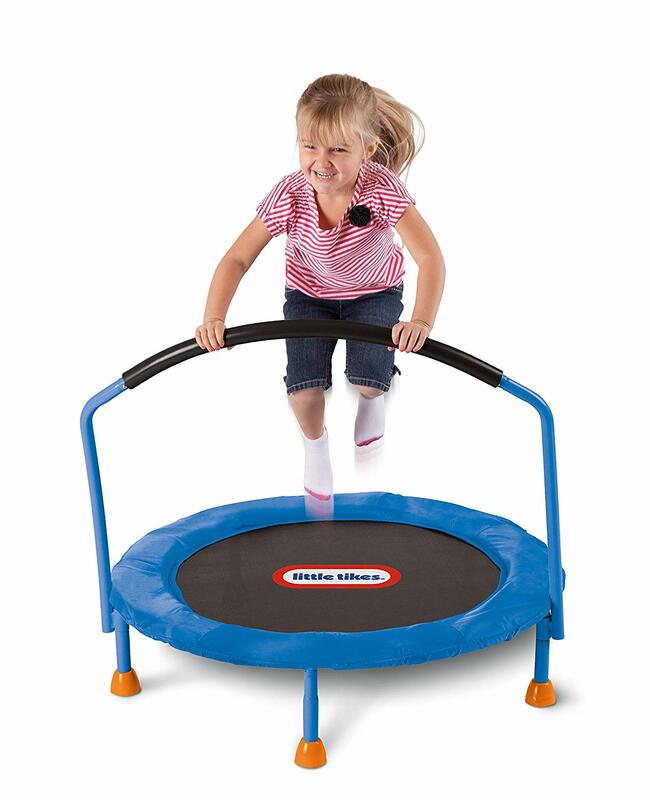 Hopping also promotes body coordination, balance, and lymph circulation. And this thing has won a ton of awards including Creative Child Toy of the Year and Mom's Choice Silver Medal! I think this toy is adorable! And it will keep a kid busy for HOURS. Bonus points for being able to store all of its parts on the inside! Zipped inside Erwin's tummy, tiny surgeons will find six essential organs: lungs, heart, intestines, liver, spleen, and kidneys. 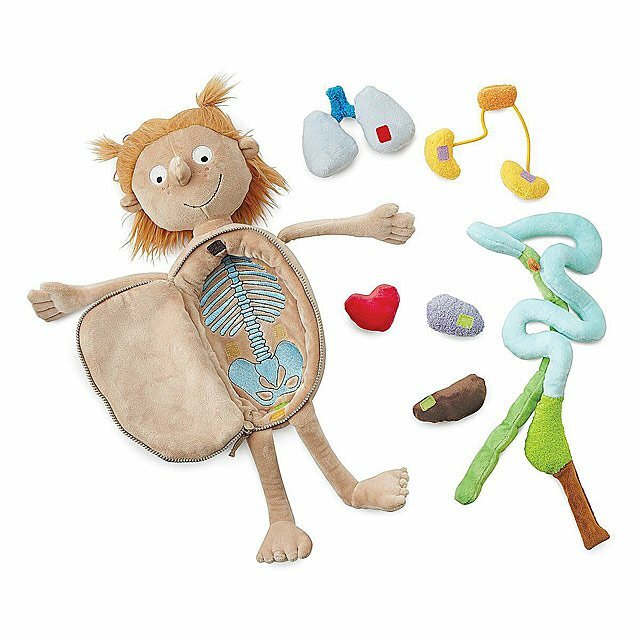 All of the plush organs are color-coded, and children will have a blast identifying each one in the accompanying booklet and learning more about its very important role in our bodies. Underneath it all, an embroidered posterior skeleton teaches kids about how our bones keep everything together. 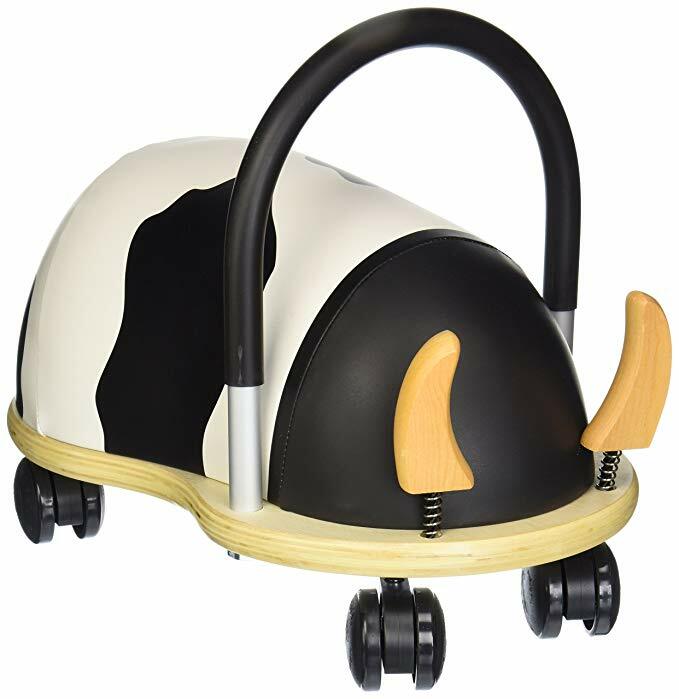 This little wheeled rider is super fun, comes in like 7 different animals or insects, and turns 360 degrees. So you'll never have a toddler throwing a fit because they get stuck in a corner. 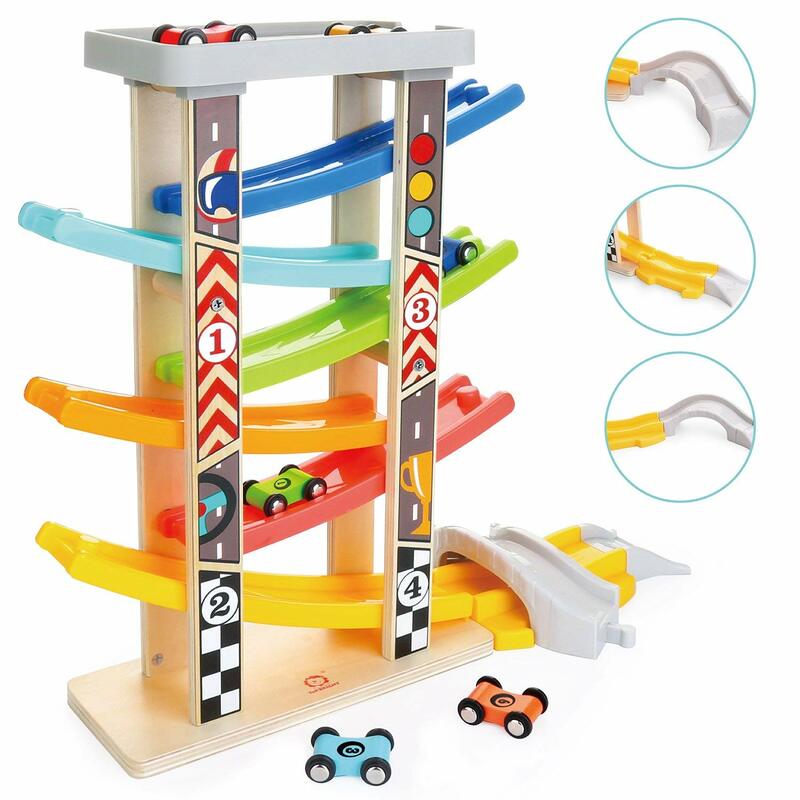 Helps develop fine motor skills and coordination! 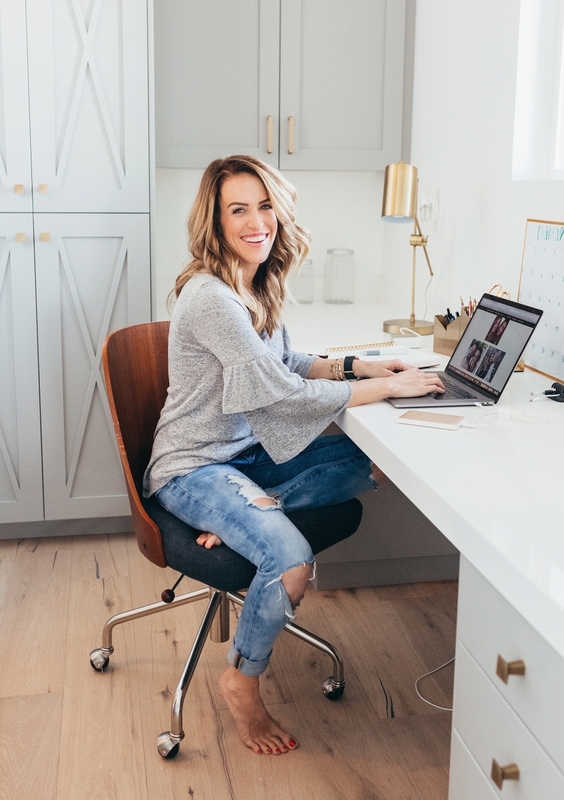 Joanna Gaines can do no wrong! 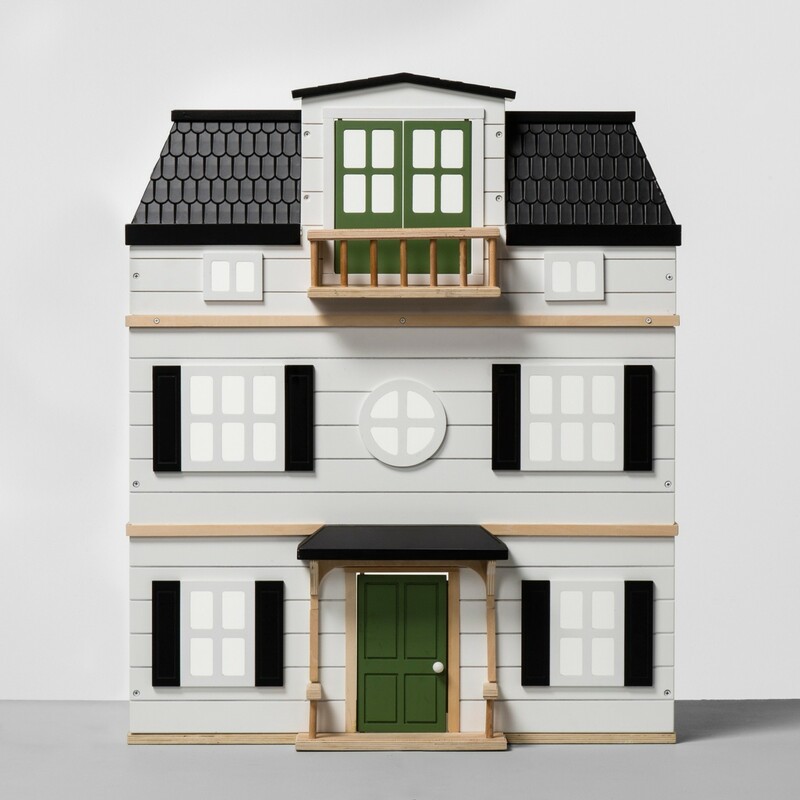 This dollhouse is the stuff of dreams and every little girl (or boy) should have one. I think it's great to stretch kids imaginations and creativity to help set up and then play dolls. These are awesome! Dash and Jett will play for hours and sometimes you can even find Emery and Anisten joining in! The magnets are strong and the blocks are sturdy. The magnet blocks are in perfect condition despite daily use. 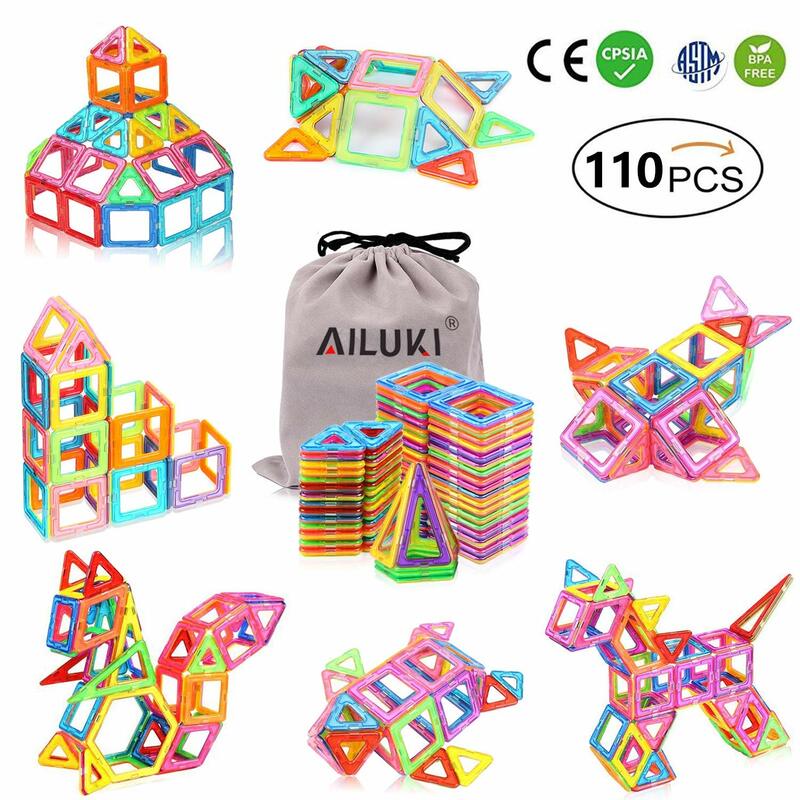 They don't require perfect alignment and your kids will be entertained and playing together nicely (fingers crossed)! I prefer this to PlayDoh. It's way easier to get out of the carpet! 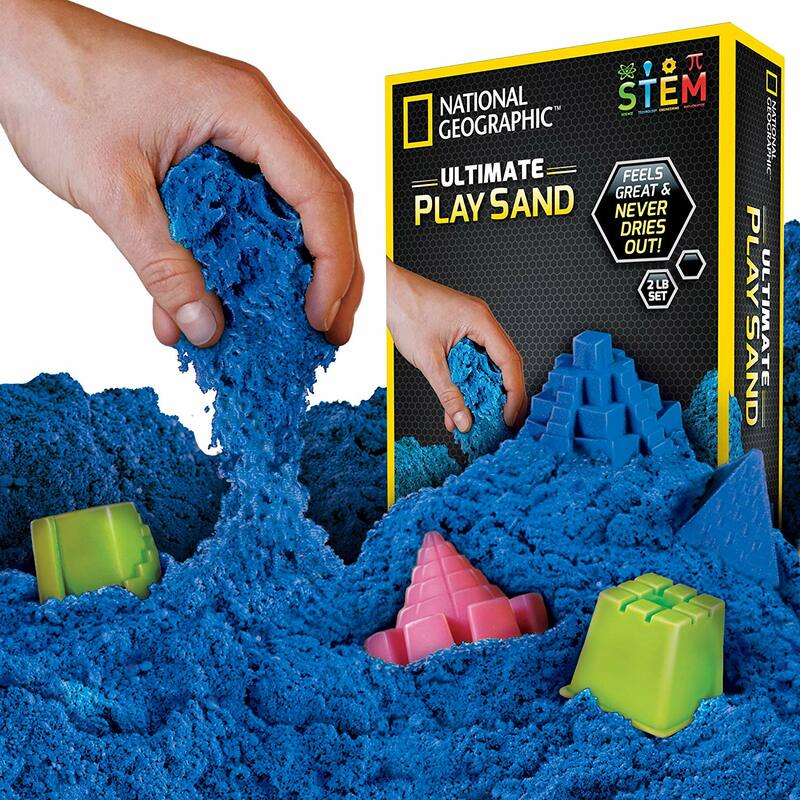 This is just like the sand that Brookstone sold all those years ago that everybody had to touch when they walked by. When it is dumped from the package it oozes out but yet it is dry-so cool! It does come with a tray but I would recommend using a cookie sheet when playing with the sand to contain it...it's sand after all! OK, these things are the coolest! 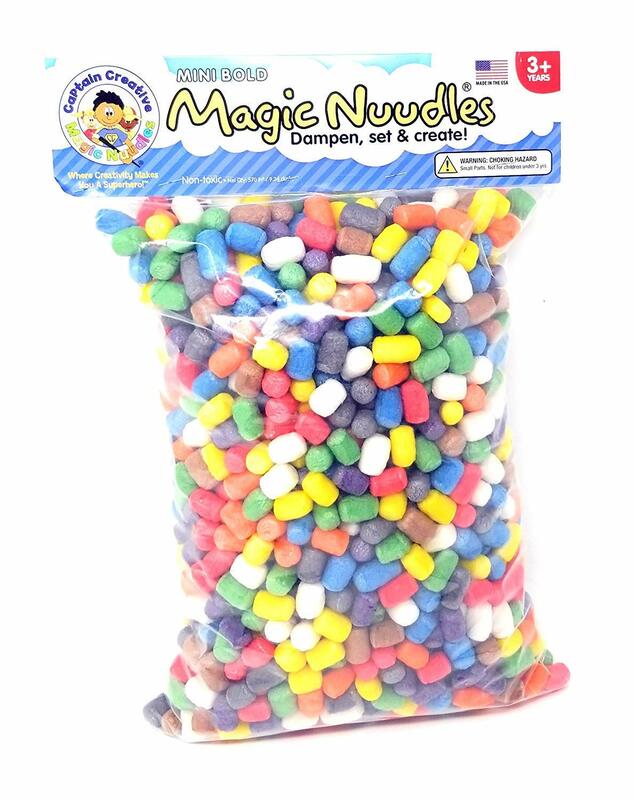 Mini Magic Nuudles are made of Cornstarch and they are perfectly safe for those toddlers that are still sticking stuff in their mouths. They are non-toxic and when you dampen them with a sponge or paper towel they become sticky and will stick to each other or to paper. You don't need a lot of water- too much will make them dissolve. This is the earth's best toy because it is completely bio-degradable! Melissa & Doug make the coolest kid products. 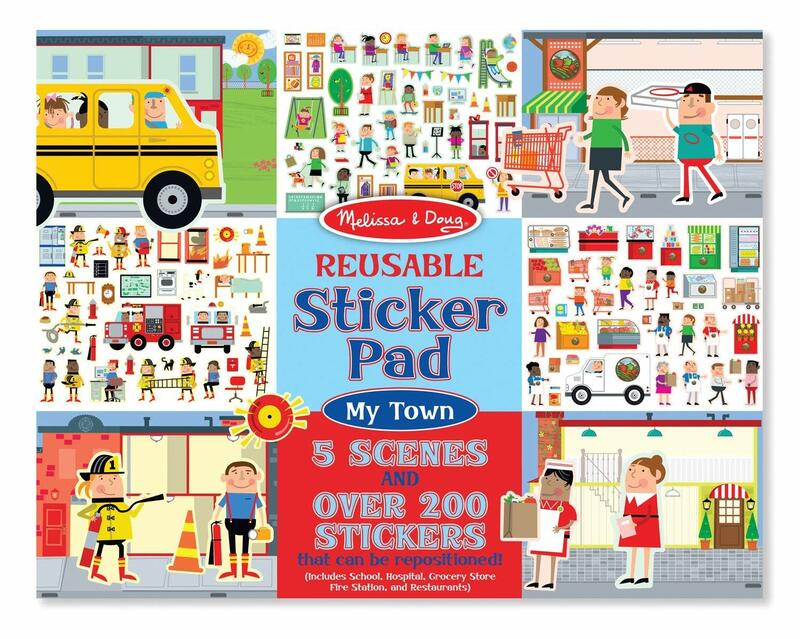 These reusable sticker books come with static-cling stickers that will stick to what they should and fall off of what they shouldn't. No more ruined drawers, floors, or you won't end up out and about only to have some kind stranger pull a sticker off your back. I love that this picture practically shows this kid 5 seconds away from vaulting from this trampoline. But in reality, it's not THAT bouncy. No fear. 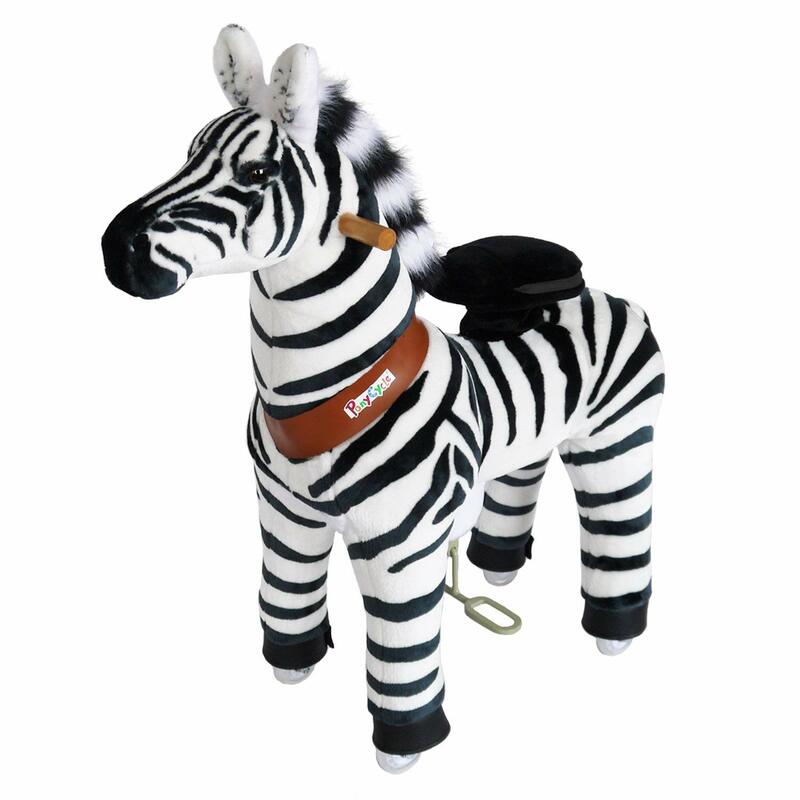 Your kid can jump on this without that worry hanging over your head. Kids have the energy to burn, and if they don't have some way of actually burning it, it's harder for them to concentrate or to get the constructive rest that they also require. As they work out their whole body, kids will develop better fitness, balance, and coordination. + it gets their lymph system going! Simply unscrew the little brush, fill with water and paint. The pages are like individual boards with a scene on them that's all uncolored pictures. When the water hits them with this excellent brush (no leaking, just the right amount of water, perfect for little hands to hold, safe!) hidden animals and objects show up as the water touches them. The colors are so vibrant. 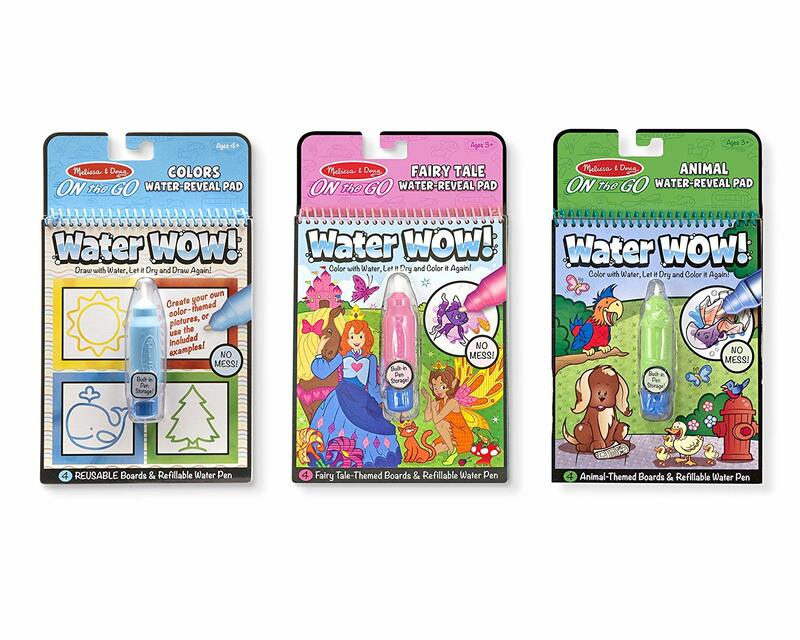 Such a nice change from those typical magic marker books. The pages hold up well and when the water dries it returns to white. (It doesn't take super long to dry and the book can be closed and they still dry. It is enough time to color a page so it doesn't dry before they finish coloring which is nice. 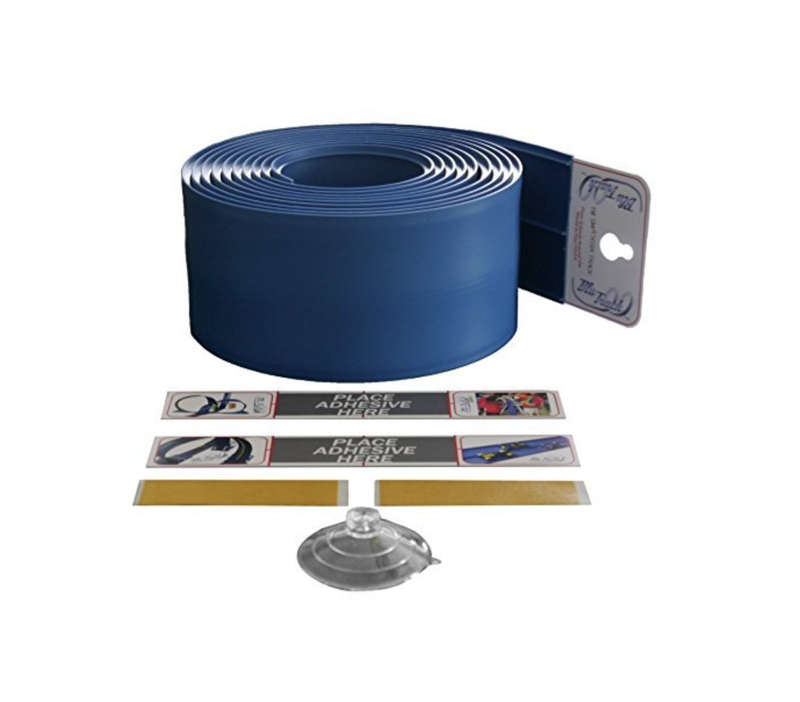 It's classic and you can't go wrong with a toy train. This is one of those toys that is a right of passage. 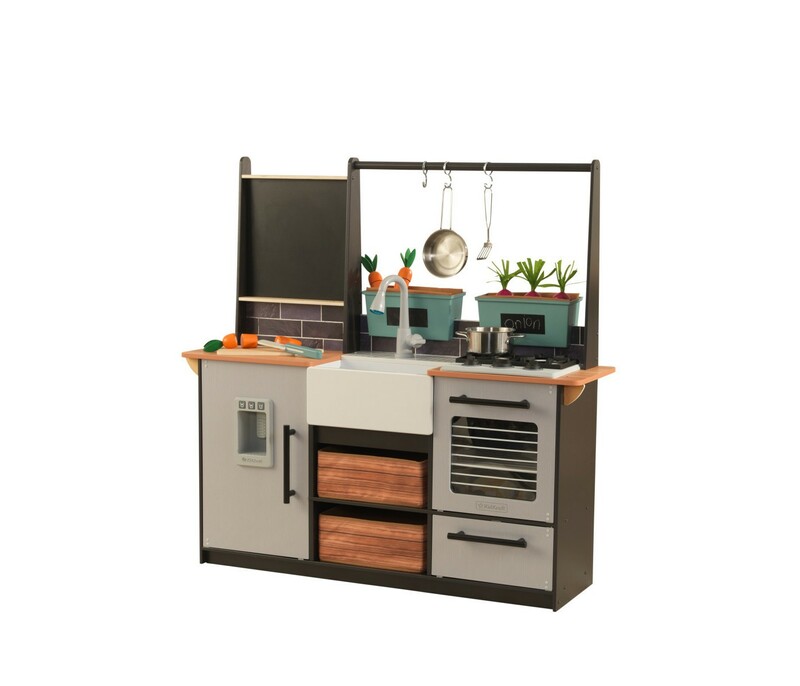 KidKraft has 10 different kitchens to choose from that feature so many different styles for your future James Beard award-winning chef. I love this one for its urban modern look but they seriously have a style for every personality. And like the toy train, a play kitchen is a classic! I love baby dolls and I love that this one is so soft. You don't have to worry about your child chipping one of their new teeth on some hard plastic part of the toy! 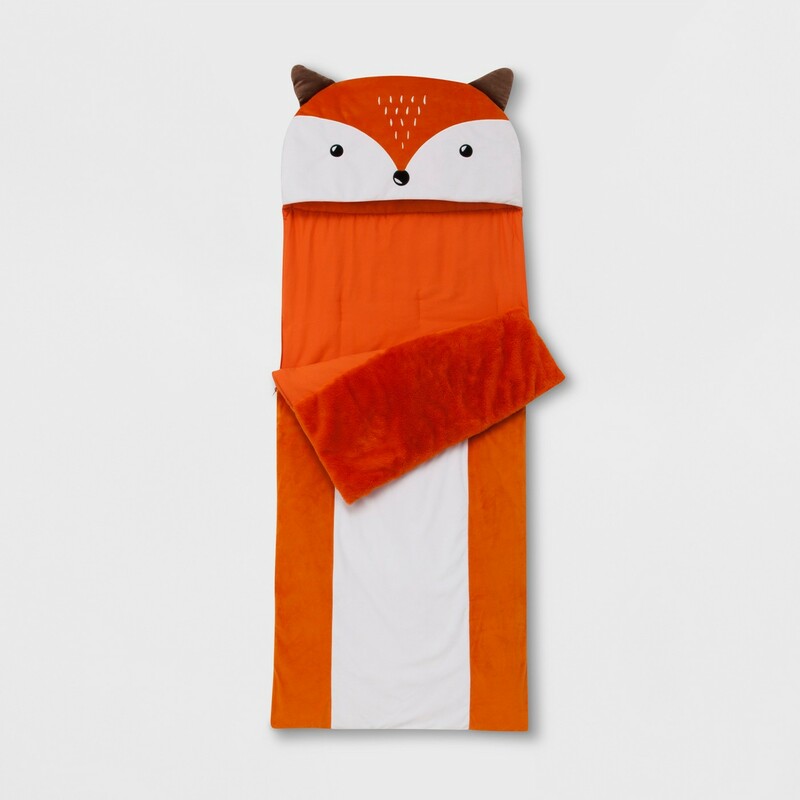 Great for sleeping with, running with, and great for expanding their imagination. I almost wrote, "who do you think?" Seriously, I love this toy for a toddler! It has a super simple carry handle and features 4 doors and 4 keys that require your kid to match them up! 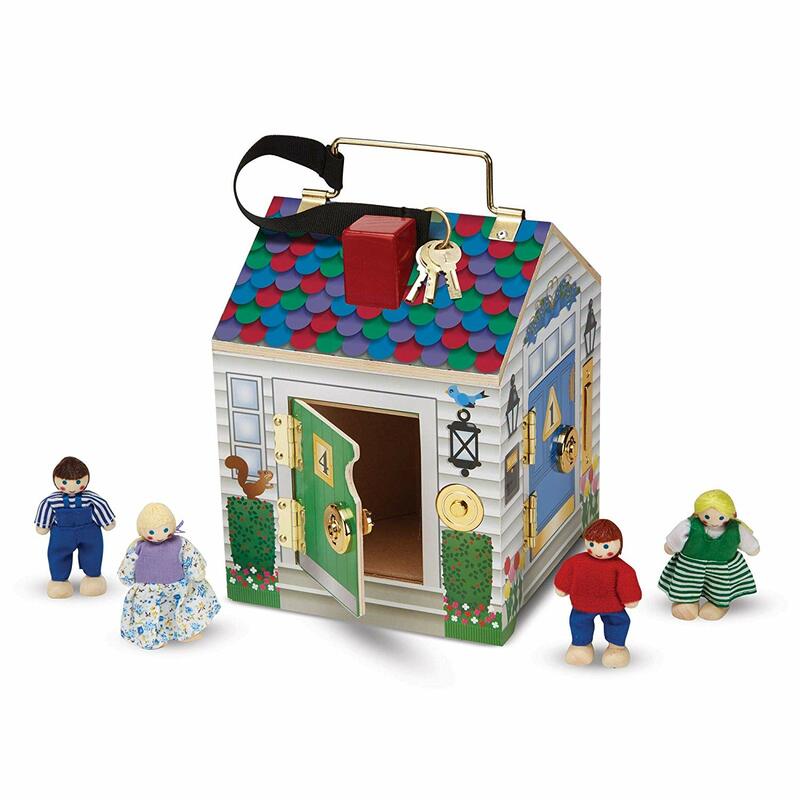 It also comes with adorable figurines that fit in each of the doors and a working doorbell! 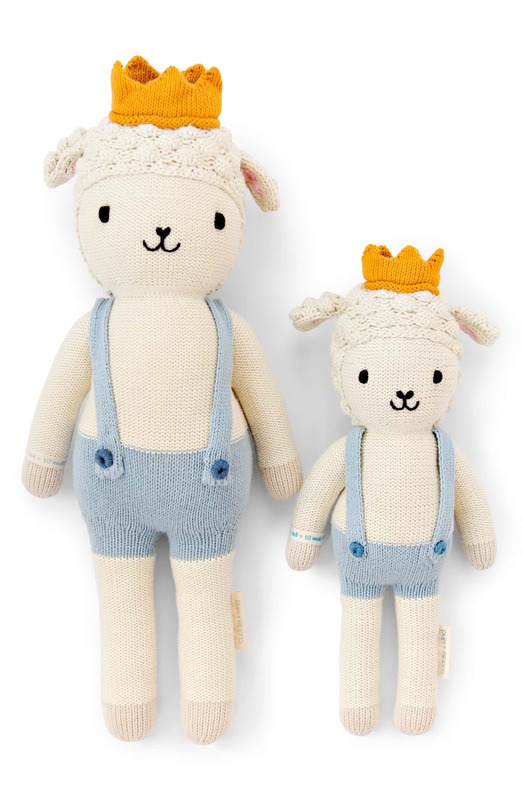 I'm a sucker for super soft and adorable stuffed animals for babies and toddlers. Like I mentioned with the doll above, I prefer the softer surfaces for small kids and can be easily washed. Sleepovers and camping are about to get a whole lot more fun. You've seen Jett wake up in his dinosaur every morning - that kid doesn't go anywhere without his. 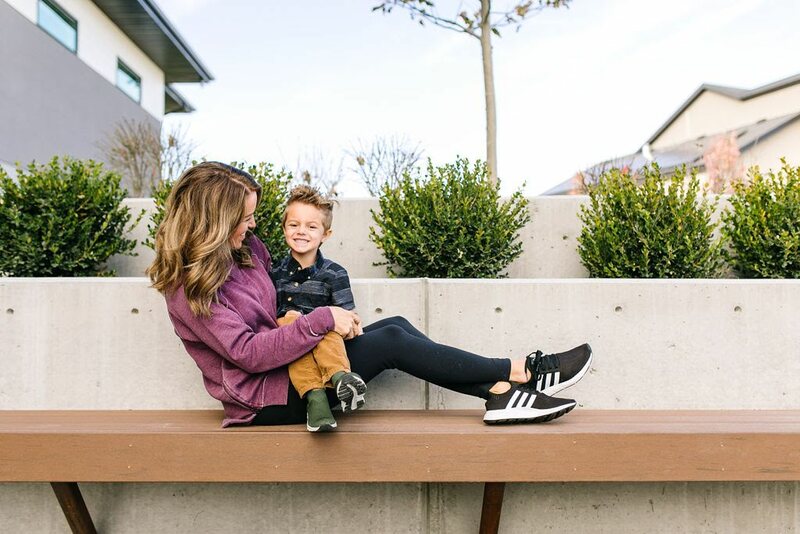 Whether your kiddo is spending the night at their best friend’s house or roughing it in a tent in the backyard, they’ll love this sleeping bag. 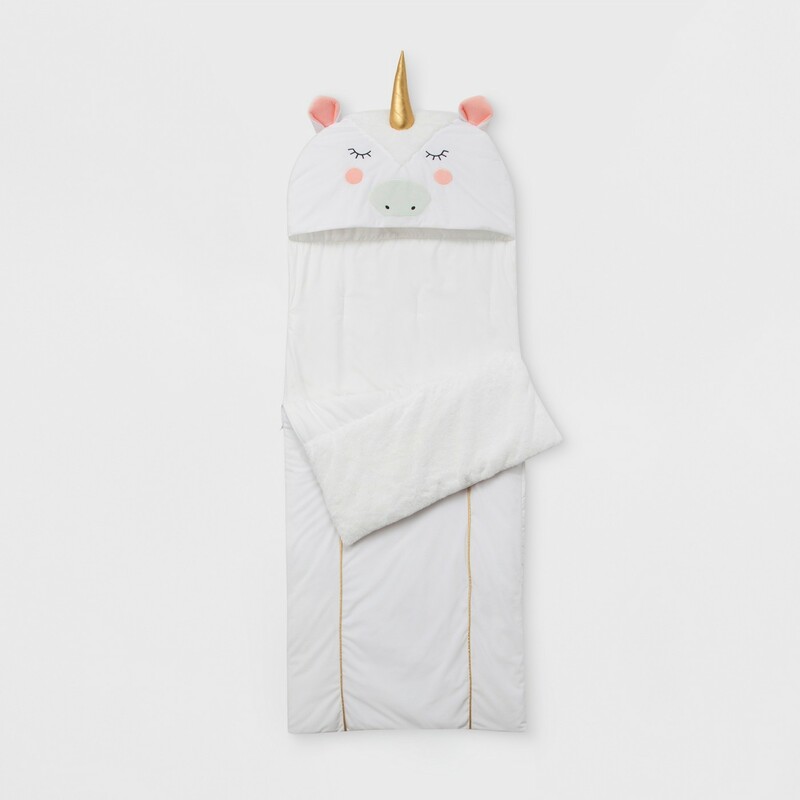 This adorable unicorn sleeping bag is machine-washable for easy cleaning and folds up into a pillow when not in use. Whoever named their company is my spirit animal. Your kids work the horse by sitting on the saddle, lying legs against the horse and pressing the stirrups. The pony will start to move forward with a traditional horse's gait. 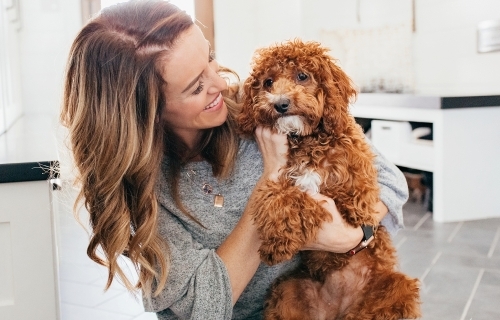 This is seriously one of the coolest toys on this list! NO batteries needed! I don't know any kid who doesn't love to sing! 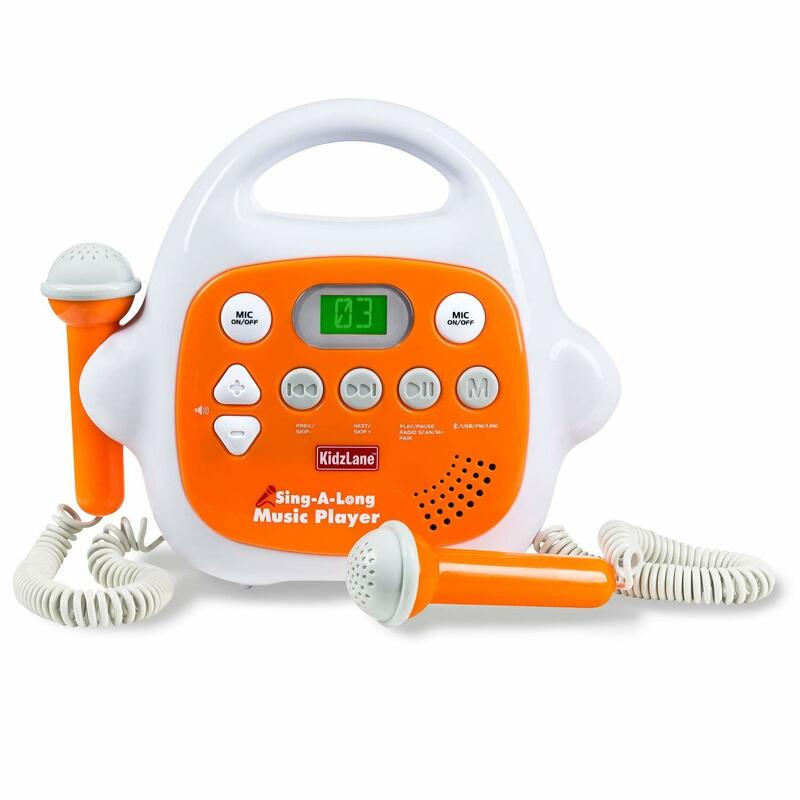 This thing comes with two microphones so two kids can sing together and they both have their own volume control with an on/off switch. 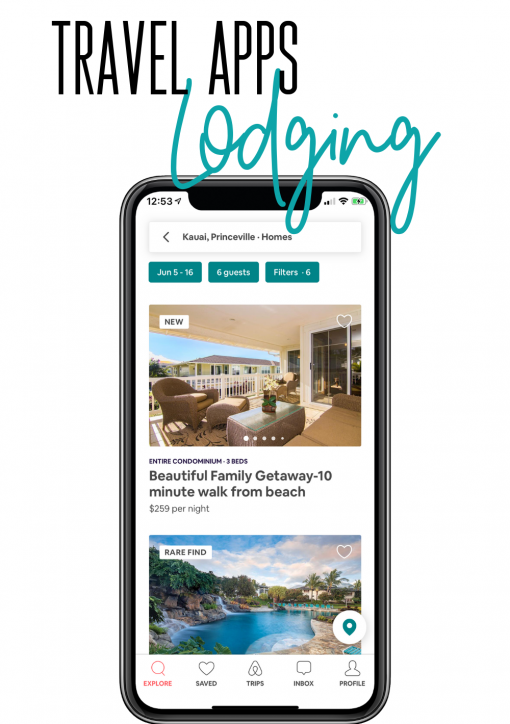 You can connect other music devices (iPhone etc) to play music through for your kids! I love a toy that doesn't need batteries, complicated instructions, tons of parts, and will keep Jett busy for hours. The bright colors are fantastic and instantly teaches about cause and effect. 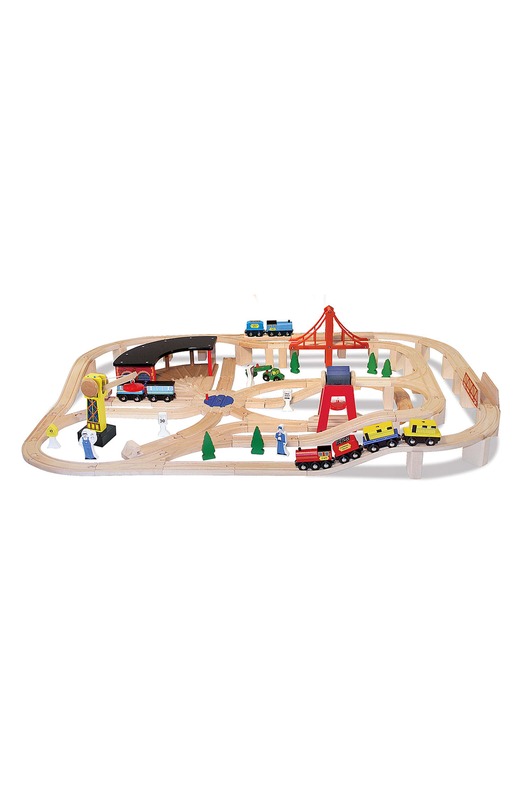 Each car flips at the end of a ramp to continue to the next and this set also comes with a parking lot and extra bridge! Jett puts these on and doesn't want to take them off! Yes, I know these are unicorns BUT they have like 20 other options you can choose from for both girls and boys. 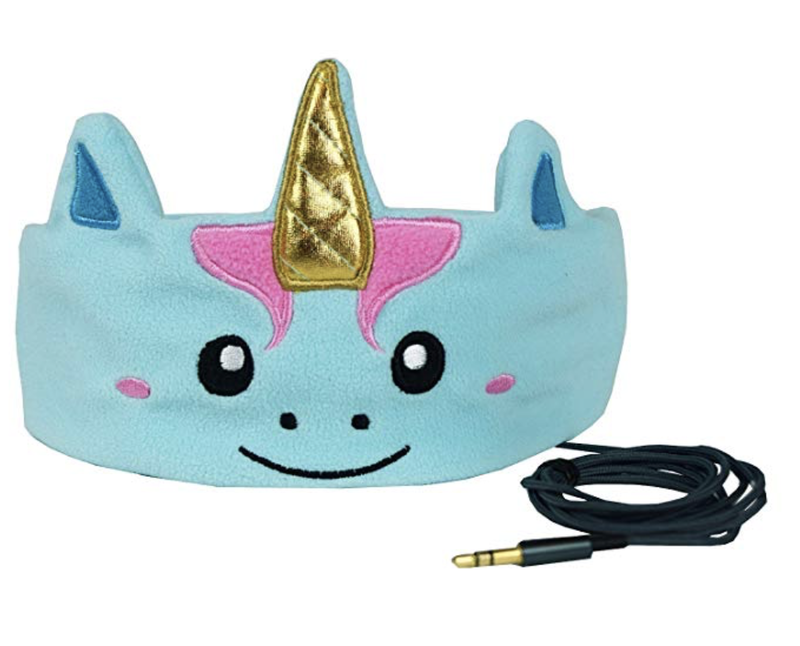 They stay at one volume, wrap around their ears (keeps them cozy too!) and you can roll them up super small and always have them in your purse. I got race car track for my boys last winter and its been SUCH A HIT with both boys and girls! They use things around the house to make ramps and loop-de-loops with it, lay it on the stairs, etc. I ordered the 25 foot one and wished I would've done smaller (who needs 25 feet of ramp??) so I linked the 15 footer. I’m so glad you like it! With 1-year-olds, I just suggest letting them help open other gifts – or get something simple and stimulating – they don’t need much! Thank you SO MUCH. For putting this together. #5 is one I’ve been looking for for a long time! My 10 month old will see kids playing with them in church and loves to join them and stick them together! Also it’s my first Christmas with my baby and I’ve been stumped on good things to buy so THANK YOU for taking your time and doing this!! You’re so welcome! I know how hard it can be to think of things to get!